Well, my post was unfortunately premature… by a year, now, in fact, as this year’s Slow Food Cycle Sunday has been cancelled due to the forest fires. The 5th annual event will occur August 15th, 2010. 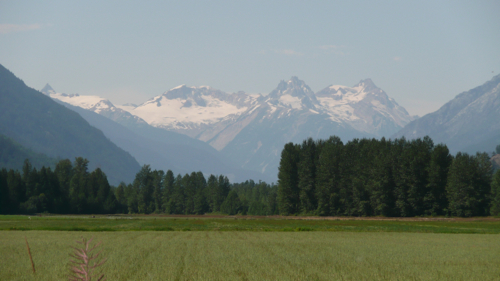 I’m very disappointed, but all is not lost as on the 22nd and 23rd there are cycle farm tours in Agassiz and Chilliwack by Slow Food Vancouver, although these require advanced registration and cost $10 — $20. I’m going to get on that and invite the folks who were planning to attend the Pemberton event. Too bad! 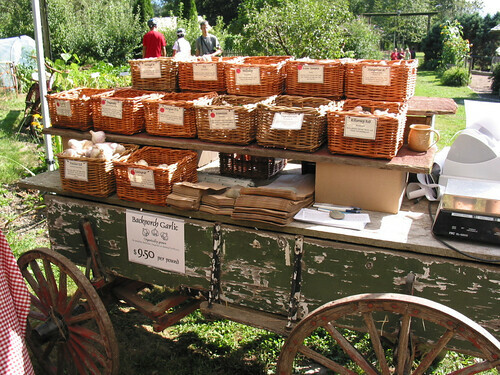 If you still want the amazing potatoes, however, visit a Vancouver Farmers Market and look for Helmer’s. 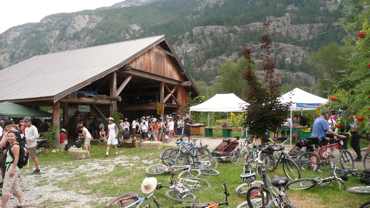 On Sunday, August 16th, we’re celebrating the 5th annual Slow Food Cycle Sunday in scenic Pemberton, BC. * The flat, paved road through the farming valley is perfect for cyclists of any age and skill level. And of course, what we’re ultimately drawn together here for is the food! After my first trip last year, which was capped by a traffic jam on the way home that had us moving slower than a kid on a bicycle, I felt the potatoes alone were SO worth the 50 km ride and the road trip. They are phenomenal. I’ve managed to stuff my weekend to the brim with various events, from Juno festivities to enviro-political discussions, and a possible, long-overdue trip to the market. In 10 hours, Avaaz’s new petition asking the federal government to support the CBC has garnered over 25,000 signatures. Please sign the petition and pass it on to your friends! Good-bye winter blues (and flus!) 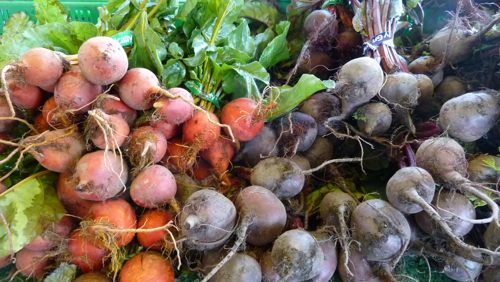 — spring has sprung at the Vancouver Farmers Market and what better way to celebrate than with the arrival of spring crops. 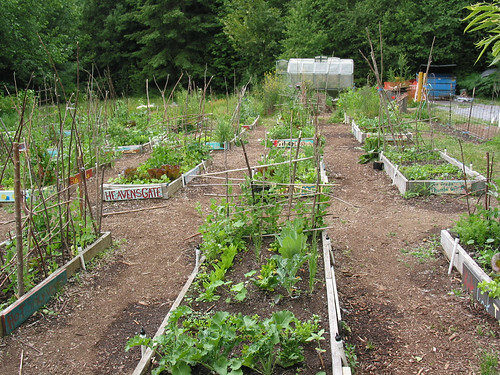 Brian Patterson of Shalefield Gardens will have several varieties of sprouts including Broccoli, Mustard and Red Radish, as well he will have Micro Greens, Jerusalem Artichokes, Strawberry plants, and Nettle, oh my! SFU Surrey Campus (at Surrey Central Skytrain), Rm 5140, 13450 – 102 Avenue, Surrey. 1 – 4pm. Free, pre-registration is not required. The Tar Sands megaproject in Alberta has been described as the most environmentally destructive project ever built. But many people don’t know about the pivotal role proposed BC projects could have in facilitating tar sands expansion and fueling demand for tar sands oil. 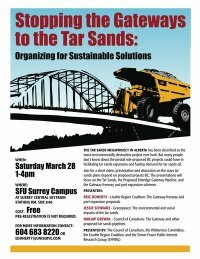 Join us for a short video, presentation and discussion on the ways tar sands plans depend on proposed projects in BC. The presentations will focus on the Tar Sands, the Proposed Enbridge Gateway Pipeline, and the Gateway freeway and port expansion schemes. 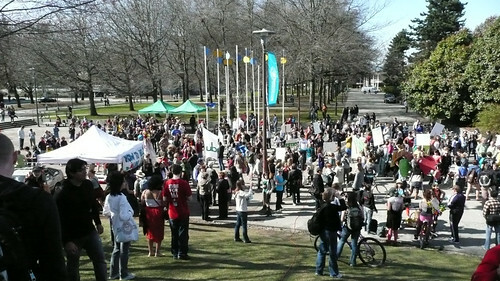 Harjap Grewal — Council of Canadians: The Gateway and other proposed tar sands pipelines. Eric Doherty — Livable Region Coalition: The Gateway freeway and port expansion proposals. 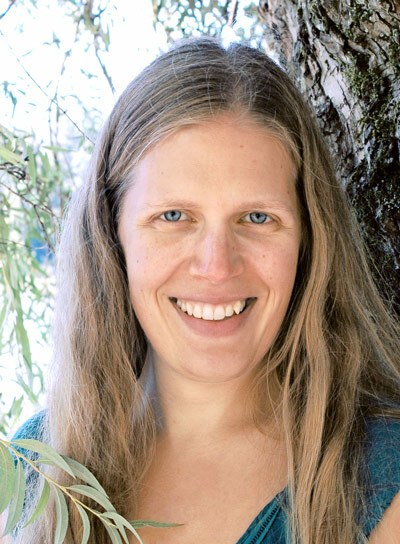 Jessie Schwarz — Greenpeace: The environmental and social impacts of the tar sands. A reminder that it’s Earth Hour from 8:30 – 9:30 pm (local time). 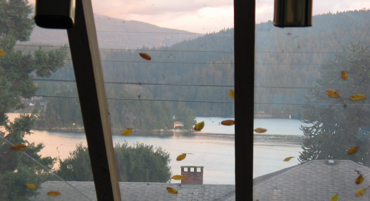 Granville Magazine lists 21 ways to spend Earth Hour sans power. I will be observing it at a large party with candles for each person, which should be lovely! I think I missed it last year so this may be my first one. 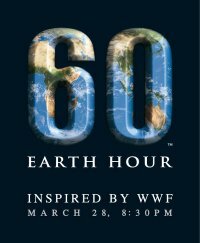 I enjoyed the Globe and Mail’s article about getting creative for Earth Hour. apples crisper than ever imagined greet me immediately and yes, kind sir, I will see you again soon. the hall is stuffed with scents and warm colours that suggest the turning of fall into Christmas. I cannot wait for the next two. at the market I move in slow motion, with thoughtful decisions and careful handling of the earth’s most sacred gifts for which I have a delectable passion. suddenly the presence of honey, maple and bread intermingle with curiosity and my senses urge me without hesitation to ask for a plump loaf of sourdough which I shall with butter enjoy later. hues of pumpkins, squash and apples overflow amongst varieties of mushrooms, potatoes and dried fruits, all the colours and textures singing the plenty that is the harvest here, even so late in the fall. this is abundance. I leave with luscious beet greens slung across my back and deeply enjoy the sight from the corner of my eye. it makes me feel somewhat of a peasant or… something special… a collector of sorts. a perfect day for a walk. to pass time I follow people to a cluster of studios in the most unlikely place for the Eastside Culture Crawl which I had not planned to attend. when I am wealthy I will buy other people’s art and gourmet cheese. today my wealth is my experience. happily timed my bus arrives and I cradle my earthly belongings. a young man strums an acoustic guitar at the back of the bus, a surprising reminder of when I once did the same. it was dark inside, and outside the fog had rolled in, shrouding everything, and through which the neighbour’s light glowed softly. and yet I could still see shimmering clearly a star — nay, a planet — in the black sky. the moon lit up the top of the fog’s arm that stretched over the inlet, yet I could not see the moon. little time had passed since I saw its reflection, perfect and white on the still water. its face looking downward and half hidden, the moon played hide-and-seek behind the thickest part of the cypress, thick enough to block it from entering the house. but I knew it was there; on the sparkling dotted glass its shape blurred and crackled. tonight it was shy but it will soon light up the darkness like a second sun, come fullness. 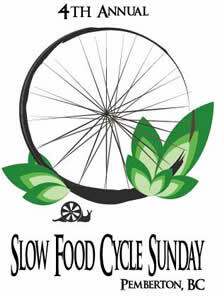 Slow Food Cycle Sunday Recap! 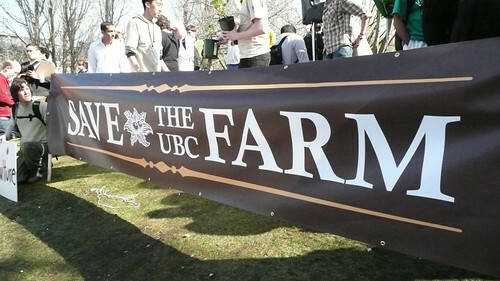 Yesterday I attended my first Slow Food Cycle Sunday, in Pemberton. Whew, what a ride! We arrived in Pemberton Village rather on time considering the road construction on the Sea to Sky Highway. (No rockslides, thankfully!) Treacherous road, but man, what a view! The parking lot at Signal Hill Elementary School was rapidly filling up when we unloaded our stuff, packed up our saddle bags and took off in the direction of the Community Centre which would be our official starting point. It was obvious then that there was a huge turnout, and in fact the count thus far exceeds 2000 riders! It was mildly sunny and cool, but the weather didn’t do what was forecasted. 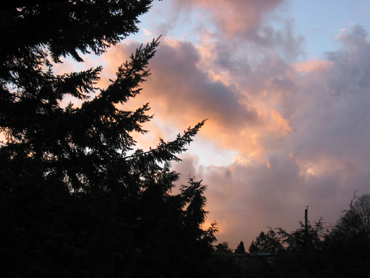 It did the exact opposite, without the potential thunderstorm that seemed imminent. I learned of this annual event when I naughtily “borrowed” my landlady’s Westworld Magazine to read a few interesting food-related articles before I delivered it upstairs. When I finished reading the article about Slow Food Cycle Sunday, I wrote down the event details and without hesitation decided I would attend. (Do read the article, a PDF complete with tantalizing photographs!) Now the date is finally approaching — not that I wish summer to pass quickly as it has been, but I’ve been looking forward to this — and I’m training daily now for the tour.